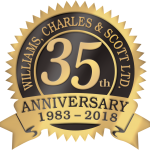 WCS LTD.’s Early Stage Collect Program (WESC) • Williams, Charles, & Scott LTD.
Running a business in this day and in this economy, is difficult enough as it is. With the help of WCS LTD.’s Early Stage Collect (WESC) Program, your team can begin pre-collections procedures on all of your debtors right now. Most of all, your time will be freed up to work on more pressing matters. It is through the implementation of WCS LTD.’s Early Stage Collect (WESC) Program that you will see a decrease in your DSO (Days Sales Outstanding) and increase your company cash flow. WCS’s Early Stage Collect (WESC) Program process begins 30 days prior to traditional 3rd party collections, ideally starting at day 60. Our unique process is not only a more polite and civil way to alert those in debt to you that payment is needed, it is more effective while increasing your corporate bandwidth. WCS Early Stage Collect (WESC) Program, has been crafted with decades of domain expertise. Our process always considers and respects your customer relationship despite the delinquency. Once the 30-day pre-collections period is over, we verify the status of your WESC account(s). Then, upon confirmation, escalation occurs to WCS LTD.’s industry leading, strategic 3rd party, commercial collections efforts. For 35 years, WCS LTD. has been proud to be one of the most respected names in the commercial collections industry. We look forward to working with your company to obtain the monies that are rightfully yours. You can speak with a WCS representative to learn more about how to get WCS’s Early Stage Collect Program (WESC) for free. WCS’s Early Stage Program sends 3 timed “soft demand” WCS LTD. letters and custom telephone messages to reach your delinquent customer prior to 3rd party collection efforts. Would you like to know more about WESC? Download our PDF guide, and get the answers you're looking for.